He was a journalist, a writer, a linguist, a thinker, a reformer, a diplomat, a political theorist, a scholar and translator of the Holy Qur'an. The intellectuals are perplexed. How so many qualities could be centered in one soul. He was born a Jew in a religious family, then converted to Christianity and finally to Islam. There he found peace and there he gained strength. It is said that he was one of the "most powerful European convert" to Islam of the 20th century. His story of the Journey to Islam, which he entitled as "The Road to Mecca" is a challenging book of the century. He was a great scholar. He received religious education and was proficient in Hebrew from an early age, as well as familiar with Aramaic. He studied the Old Testament, the text and commentaries of the Talmud, the Mishna and Gemara, also delving into the intricacies of Biblical exegesis and the Targum. He went to Cairo where he tried to learn Arabic and spent some time with Shaikh Mustafa Maraghi (who later became the Shaikh of Al-Azhar). He wanted to gain a fuller picture of Islam. Subsequently he became perfect in English, Arabic, Hebrew, Aramaic and German languages to explore the depth of the three Revealed religions. 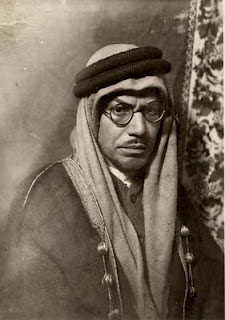 Mohammad Asad was born "Leopold Weiss" on July 2, 1900 to a Jewish family in Lemberg, which until 1918 was part of Austria and afterward until 1939 was part of the second Polish Republic (present day Lviv, Ukraine). Weiss was a descendant of a long line of Jewish rabbis. After abandoning university in Vienna, Weiss drifted aimlessly around 1920s Germany, working briefly for the expressionist film director, Fritz Lang. Leopold's grandfather, an orthodox rabbi in Crzernowitz, Bukovina, had wanted his father to follow the family's rabbinical tradition, but he chose to be a barrister. One day, Leopold left home, shaved off his beard and side -locks and after drifting for a while, he arrived at Oxford. He graduated as a scholar, converted to Christianity, married a 'gentile' and sent a letter of divorce to his Jewish wife. Leopold later moved to the British Mandate of Palestine, staying in Jerusalem at the house of his uncle Dorian Feigenbaum (a disciple of Sigmund Freud), his mother's youngest brother, who had invited him to Jerusalem to live in his delightful old Arab stone house. But neither Dorian nor Jerusalem could stop Leopold from his wanderings. He became a correspondent for Frankfurter Zeitung reporting sometimes in Cairo, sometimes in Amman, back to Jerusalem; and on road again to Syria which then included Lebanon as well and Turkey. It was a moment at the Umayyad Mosque in Damascus, that he became aware how near their God and their faith were to these Muslim people. Weiss' assignments led him to an ever-deepening engagement with an understanding of Islam, which, after much thought and deliberation, led to his religious conversion. The cobbler's advice: Islam had been revealing itself to Leopold in bits and pieces, but it was on a winter day in Afghanistan that a man, fixing an iron shoe to his horse, told him: "But thou art a Muslim, only thou dost not know it thyself. Why don't you say now and here: 'There is no god but Allah and Muhammad is His Prophet' and become a Muslim, in fact as you already are, in your heart," said the man. Later he traveled on: From Kabul to Ghazni, Kandahar and Herat. Early 1926, he was homeward bound, via Marv, Samarkand, Bokhara and Tashkent and thence across the Lurkoman steppes to Urals and Moscow. Some time after September 1926, he sought out a Muslim friend of his, an Indian who was at that time head of the small Muslim community in Berlin, and told him that he wanted to embrace Islam. Elsa his wife, followed a few weeks later. Leopold had become Asad. People ask him about his particular attraction to Islam. Asad spoke of Islam thus: "Islam appears to me like a perfect work of architecture. All its parts are harmoniously conceived to complement and support each other; nothing is superfluous and nothing lacking; and the result is a structure of absolute balance and solid composure." It is not like a mirror whose one side is shining the other is dark. Islam is like a diamond with a bright shine on every face. Early in 1927, he was received by King Abdul Aziz. He was impressed by the king and the king took a great liking for this new Muslim and he would send for him almost daily. Elsa died and Asad, now a little over 32, acquired a Saudi wife named Munira, and a library full of books on early Islamic history. Later Talal Asad was born to Munira who is now a leading anthropologist in the US. Asad left Saudi Arabia and came to British India in 1932 where he met Muslim poet, philosopher and thinker, Muhammad Iqbal, who had proposed the idea of an independent Muslim state in India, which later became Pakistan. When the World War II broke out in 1939, Asad's parents were arrested and, subsequently, murdered by the Nazis during the Holocaust. Asad himself was arrested in Lahore in 1939. Asad spent three years incarcerated in a prison. In 1947, Asad was given Pakistani citizenship by the newly established Muslim state of Pakistan and appointed the director of the Department of Islamic Reconstruction by the government of Pakistan, where he made recommendations on the drafting of Pakistan's first Constitution. Asad wrote more than 30 books. His autobiography, The Road to Mecca is an account of his Middle Eastern travels and his conversion, as well as his thoughts on the growing Zionist movement. He also wrote The Message of The Qur'an, a translation and commentary on the Holy Qur'an based on his own knowledge of classical Arabic and on the authoritative classical commentaries. In his book he outlines his view that the Muslim world must make a choice between living by its own values and morality or accepting those of the West, in which case, they would always lag behind the West, which had had more time to adjust to those values and mores, and would end up compromising their own religion and culture. Jerusalem in 1923: The Impressions of a Young European; The Spirit of Islam; The Concept of Religion in the West and in Islam; The Spirit of the West; Sahih Al-Bukhari: The Early Years of Islam; Towards a Resurrection of Thought; Is Religion a Thing of the Past? ; Towards an Islamic Constitution; The Road to Mecca; The Encounter of Islam and the West; Islam and the Spirit of our Times; The Message of the Qur'an. The first volume of Asad's English rendering, from Al-Baqarah to Al-Tawbah, The Message of the Qur'an appeared in 1964. This is by far the most elegant and lucid of the English translations. In his study of the Qur'an, Asad found that Islam gave "Yes to action, No to passivity. Yes to Life and No to asceticism." In its pages, he found an intense God-consciousness that made no division between body and soul or faith and reason, but consisted of a harmonious interplay of spiritual need and social demand. Asad's last book, This Law of Ours and other Essays, was published in 1987 and he remained intellectually active until the last days of his life. Toward the end of his life, Asad moved to Spain and lived there with his third wife, Pola Hamida Asad, an American national of Polish Catholic descent who had also converted to Islam, until his death on Feb. 20 1992 at the age of 92. He was buried in the Muslim cemetery of Granada in the former Moorish province of Andalusia, Spain.